I met Blaire for her bridal session a few months before her wedding and we hit it off immediately. Her parents tagged along on the session, and you could really see how close they all were to each other. I knew right away the wedding day would be a blast. 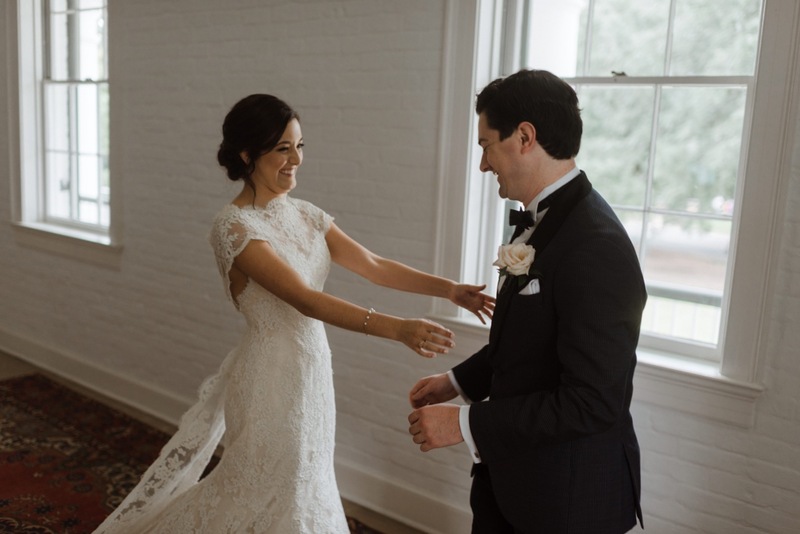 Blaire and Carson chose to go the less stressful route and had their entire wedding day take place at the Paul and Lulu Hilliard Art Museum, which as everyone knows, is a photographer’s dream. Blaire was so crazy happy when we arrived and we were so happy to be a part of her day. Carson met us later on at the venue where the two privately shared their first look, and Carson’s reaction was the sweetest. After wrapping up some family pictures and a couple of shots with just the two of them, it was time for their ceremony under the string lights outside. It was stunning. Immediately after the ceremony, it began to rain a bit, but that didn’t stop Blaire and Carson from continuing onto the party, and the two danced into the night without a care in the world. their guests happily followed, and celebrated such a special day all together under the open sky. Thanks again Blaire and Carson for having us there to celebrate with you both! Very beautiful photos of a very beautiful wedding. You guys make quite a handsome couple. Mozel tov!